Thank you for your questions! They provide us with the opportunity to address concret down-on-earth issues you have. We tried to reply as truthfully as we could; in case these answers still unsatisfy your need for clear responses, do not hesitate to contact us and ask for more details. We will broadcast here your question and our answer. "I am a beginner in Human Design. Where or what should I start with?" We suggest that you start with these 2 following Foundation Readings: Self and NotSelf. In so doing, you will set the correct basis for a transformed life. Deconditioning from year-long habits takes time; the whole process lasts about 7 years, for your body is made of 50 billions cells! Starting to experiment with your Strategy and Inner Authority will quickly bring you the confidence to trust more and more in your highly intelligent vehicle. Deconditioning starts the minute you hear the deep truth of what you are (your Self) and what you are not (your NotSelf). For such uncertainties, humandesign4u is calling for the help of indian astrology – Jyotish. This ancient wisdom has developed very efficient techniques to track your exact birth time, provided that the uncertainty ranges not any wider than 2 hours + or – When it is your case, humandesign4u will send you a form to fill up with lots of points. These are necessary information for the indian Astrologer to determine your precise time of birth. In order to do that, he is referring to the system called “dashas” – bigger and smaller periods of life – where main events occured in your existence. Why is the precision of your birth time important? In certain sophisticated Readings – PHS, Rave Psychology – we are using information that may change in as fast as 20 minutes. If you are planning to have your Readings “Self” and “NotSelf” done, not being sure within a 30 minutes span, you can relax! The main data we will be using for these Readings will not change. Please, mention it though with your ordering; we will proceed to a checking of 2 different times you are likely to be born. When having recourse to our indian Astrologer, you should count on a 15 days delay before we get back to you with his results. In any case, we will keep you informed, step by step. Contact us for more information, if you feel the need; we will be glad to answer you promptly. "I find your fees really exaggerated!" 1. the training: each professional – as such, humandesign4u also – has to undertake a 3,5 years training program, at the end of which, they must pass a certification exam. The successful outcome of this exam is like a warranty card, a security for their customers of his/her reliability, honesty and dedication. 2. the training costs: the Analyst Professional Training is very costly. Nothing wrong in that: you deserve the best from us; nothing below that! 3. the experience: humandesign4u offers its services based on 12 years of experience, 7 years of practice et teaching Human Design worldwide, 40 years of personal involvment in self-development techniques. You get much more than a mere reading of your Design; you profit from our lasting maturity! 6. the follow up: the task of humandesign4u do not stop after sending you the folder with recorded files! We follow you up, as we receive your questions, comments, feedbacks. This is the after-sales service we are committed to offer you. When ordering a Reading at humandesign4y.eu, you may count on our dedication to your progresses on the Human Design path. Welcome at humandesign4u! By the way, becoming member ensures you a better follow up of your HD needs. Membership is free and your personal data stay private. 7. the boosts: visit from time to time humandesign4u.eu: promotions on sales are regularly announced in the blog section of our site. You need to pay in up to 3 instalments? Easy, and without extra cost! Just mail us for details. "I think Human Design could be a new sect"
5. it addresses parents whose children would be interested – not directly to a child under 18 years old. This case is actually rare, for children want first to live their own life and prefer experiencing to understanding their existence; the need to understand one’s real-life arises later, often after one is 35-40. 6. the tools it provides you with do not require professional assistance; i.e. you need nobody to practice with your Strategy and Inner Authority. The Analyst is far away whenever you refer to your guts feelings – the sacral guiding energy in you if you are a Generator or Manifesting-Generator. "How can I be sure you are an IHDS certified professional?" This is a very good question! Indeed, Human Design is rapidly growing worldwide. 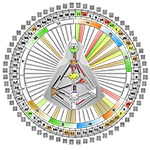 One can expect many will be people trying to monopolize Human Design; it is such a powerful and precise science… That is why IHDS in agreement with Jovian Archive have issued a special logo. On every website of a truly IHDS certified professional, you will find that logo. So will you on humandesign4u; check it here! "I just got my Foundation Reading, the Self; what's next?" Check our Products list; there are other wonderful Readings for you to find out in even greater details what you truly are! There are also courses, workshops and recorded lectures. Not all is yet online, but we should add materials soon. If your interest goes to discovering more about the system itself, we recommend our self-studdy program or online courses – check the dates for our next courses on the calendar which stands on the right column of each page. The Living Your Design course is the beginning step for you. More information on our standardized courses are to be found by clicking on the “Education” tab – see the menu bar. "I am thinking of organizing HD events in my area; can we cooperate together?" What an excellent idea! 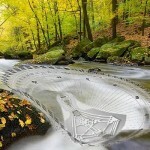 humandesign4u supports each and every one interested in the spreading of the science of uniqueness. You may count on us to help you the best we can: materials, information, online lectures to your audience; if needed, we also make possible our coming into your locality. The easiest is that you contact us. "I want to become a Human Design Analyst; where shall I start?" The process for you to specialize in the Human Design System go through 7 standardized steps – the same process all over the world. Two main periods have been set up – they are detailed under the Education tab in the menu bar. 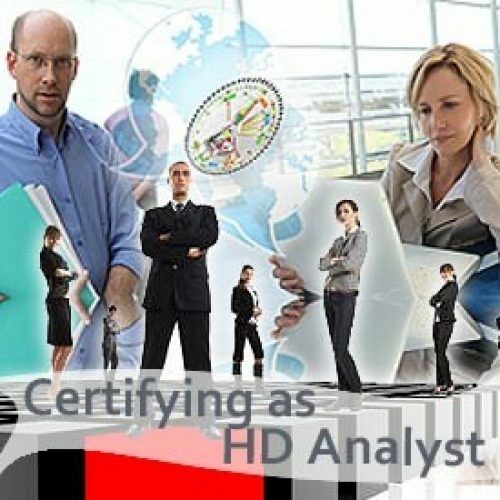 "How much will I have to pay for becoming a certified HD Analyst?" In 2014, total fees for both General and Professional Educationl – including manuals – are around 5000 € – 5500 €. You won’t need to pay at once; the overall enducation and training spans itself over a 3.5 years period. Even when you decide to pass your final exam (PTL4) under the 3.5 year term, you will only be certified and authorized to practice – IHDS and Jovian Archive agreements – at the time that 3.5 years have passed since your Foundation Reading. "Can I do my whole education and training with humandesign4u?" humandesign4u has full accreditation to feed you from ground basis – the Reading of your Self – up to PTL4, the final step of your examination. This step is to be done with the IHDS international board.All our courses are held on line in humandesign4u’s virtual classroom. Each course has its own duration – see details under tab Education. The session pattern is always the same, whichever level you are: we meet once a week for 90 minutes in the virtual room, until the end of that course. To access the Professional Education, one must have completed the 3 courses of the General Eduction with an IHDS certified Teacher. "Where can I get the software for calculating HD charts from?" You will find the software called Maia Mechanics Imaging (MMI) here. There exist a free version and also higher modules for you as a HD student. "Who created the Human Design System?" The Human Design System was not invented. It birthed out of the translation work done by the late Ra Uru Hu with the help of a german/austrian group of friends in the late 80”. Beginning of 1987, Ra Uru Hu had a mystical experience while living a deconditioning process in one ruina of Spanish Ibiza island. For 8 days and 8 nights, he encountered what he called “a Voice” which taught him the knowledge of matrixes – matrixes of humans, birds, reptiles, mamals, trees and plants… This knowledge was to sprout out 3-4 years later, in the early 90′. See the video of the original experience that lead to the birht of Human Design here. "How to attend to your online sessions - Reading, lecture, course?" 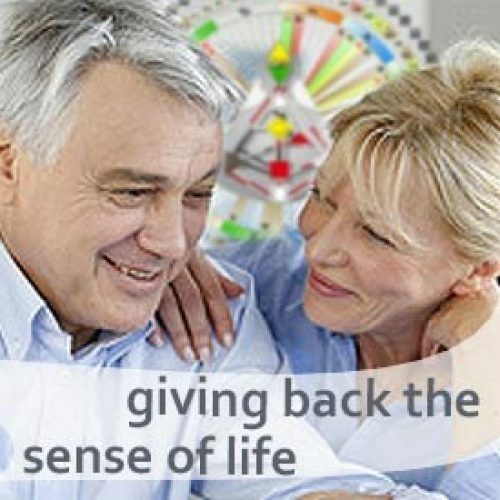 humandesign4u makes use of the E-lecta software for conducting all of its online activities.When you subscribe to one or the other of our event, humandesign4u sends you in time all necessary information for you to join in. The E-lecta player is provided to you with the recording of your Readings. As a general habit, all our services are recorded and kept on our hard disks. No panic if you lost your Readings! We will resend them as you ask us to. 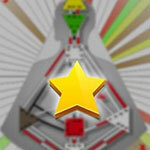 Free activities are broadcasted on this site in the videos section and on our Facebook page. Note : when attending an online event, remember to be equipped with your headphone set; you will need it for feedbacks, questions, comments. "I can't be online when the event happens... I missed your lecture... what can I do?" 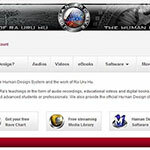 humandesign4u records each and every online event. Free events are broadcasted here on this site – videos section – and on our Facebook page. As for our individual and paying services, the recordings are being sent to you via mail – alink is provided for you to download the folder. All recorded files have “.el8” as extension; if you run a Pc you will need the player able to read this file format – the player is included in the mailed folder. In case you are a Mac fan, we provide you with a transcoded file of your recording – “.mov” extension. Please note that no transcript is being delivered, as this is a great time-energy consumer! "How can I download the product I just bought?" Services you have been buying at humandesign4u will be mailed to you with a link for you to download the compressed folder of your product. free events are not downloadable; you can access them anytime in going to the videos section of our site or to our Facebook page. The Human Design System was not invented. It birthed out of the translation work done by the late Ra Uru Hu with the help of a german/austrian group of friends in the late 80”. Beginning of 1987, Ra Uru Hu had a mystical experience while living a deconditioning process in one ruina of Spanish Ibiza island. For 8 days and 8 nights, he encountered what he called “a Voice” which taught him the knowledge of matrixes – matrixes of humans, birds, reptiles, mamals, trees and plants… This knowledge was to sprout out 3-4 years later, in the early 90′. See the video of the original experience that lead to the birth of Human Design here. humandesign4u makes use of the E-lecta software for conducting all of its online activities.When you subscribe to one or the other of our event, humandesign4u sends you in time all necessary information for you to join in. The E-lecta player is provided to you with the recording of your Readings. As a general habit, all our services are recorded and kept on our hard disks. No panic if you lost your Readings! We will resend them as you ask us to. Free activities are broadcasted on this site in the videos section and on ourFacebook page. 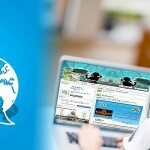 humandesign4u records each and every online event. Free events are broadcasted here on this site – videos section – and on ourFacebook page. As for our individual and paying services, the recordings are being sent to you via mail – alink is provided for you to download the folder. All recorded files have “.el8” as extension; if you run a Pc you will need the player able to read this file format – the player is included in the mailed folder. In case you are a Mac fan, we provide you with a transcoded file of your recording – “.mov” extension. Please note that no transcript is being delivered, as this is a great time-energy consumer!